What musician doesn’t want to have a great sounding recording of their music? It’s easy right? You just walk in and record. Boom its done, perfection! Sure you can go into the studio, setup and press record, but unless you are one of the greats like Paul McCartney, or just exceptionally lucky, your chances of walking out with the product you are hearing in your head, are slim. Professional artists like McCartney have spent decades mastering their craft. There are steps to take beforehand so you can maximize your session. This can be a relatively short process or take years, it’s really up to you, but, it is important to take the time to do your homework. 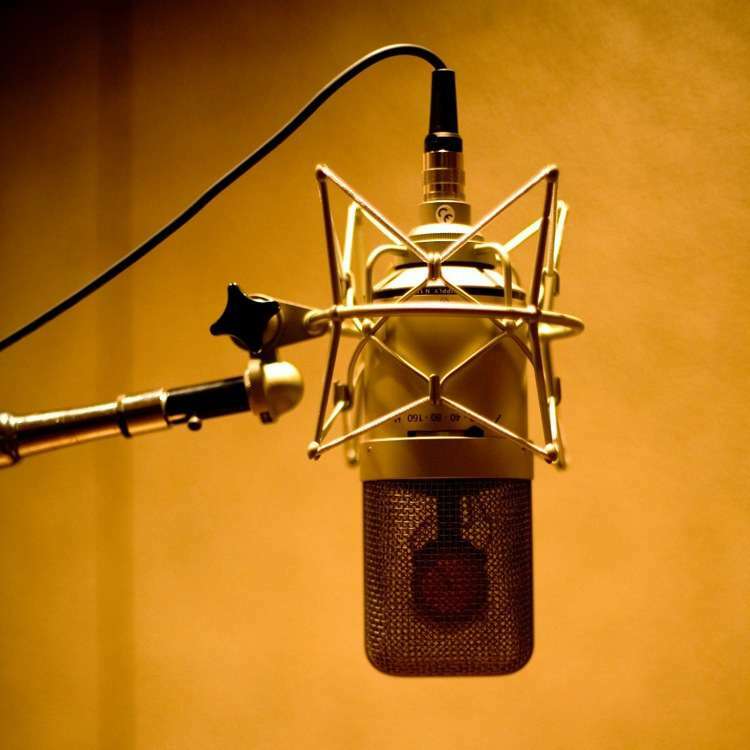 Here are seven important steps to making the most out of your recording time in the studio. For our purposes, I’m going to stick to a general guitar/bass/drums/vocals lineup, but know that the same principals apply for any type of recording. These will make it easier for you to work with the engineer, have more fun (music should be fun!) and ultimately get the most for your money/time. Is it thrown together or have you thought it out? Whether you are a singer, songwriter, working alone, or in a band with a producer, there is always time spent coming up with ideas and arranging them. Your Aunt Sherri might jump on the piano and ad-lib a song but I don’t think that will get her on the radio. The right progression and song structure will engage and ultimately hook your listener. There isn’t one set way that a song has to be structured, but there are ways to make it catchy and cohesive. Take your time and try switching things around. Maybe that verse is really a chorus or that chorus is better as a bridge. They’re building blocks to your song, move them around and see how they fit. If you don’t like it, you can always go back, but don’t be afraid to play with arrangements. Do you really like the song? Is it really finished? Personally, this is one of my favorite steps to the recording process. Time to experiment! You should have your general structure at this point. Now its time to record your arrangement to see how it sounds when played back through speakers. The recording quality is not as important for this but it does need to be clear enough to hear all of the parts you have just arranged. Often a built-in phone recorder is enough, unless you are wanting to layer different parts, if you are, you can download free or inexpensive multi-track recorder applications to achieve this. These are available for both your phone and your computer. Record your song and listen to it for a couple days. Do you still like how your verse leads into the chorus? Does the verse/chorus swap you did while you where composing your song not work the way you’d like? Don’t forget about lyrics, do they grab your attention or leave you bored? This is the time to make your changes and try things out. Typically, I will play demo recordings for a few friends that I know will give me unbiased critiques. Another set of ears can be really helpful, you get comfortable with what your hearing so you might not pick out a note or vocal line that doesn’t work. Don’t be embarrassed! Does everyone know his or her parts? Quite often I am asked what the #1 reason a session isn’t successful. This is it! Practice on your own and rehearse with your band till you know the song backwards and forwards. You’re only as good as your weakest link, so everyone should come in to the session knowing their parts and be ready to go. Don't waste your precious studio time rehearsing. That said you can still be creative in the studio, but this should be adding some spice to the song not rewriting sections. The way you want to rehearse is ultimately up to you but I strongly recommend using a metronome. Being able to play to a metronome, aside from keeping you on time, allows you to do multiple passes of the song and then pick and choose which take you like for each part of the song. This is referred to as comp-ing. You can still comp your recording if you don’t use a metronome but it will take your engineer a lot longer. And remember, more time means more money out of pocket. Can you count on everyone to be on time? Did you book enough time? These are 2 very important questions about scheduling. 1) Will everyone be on time? Communication is key make sure that everyone knows when to get to the studio. Quite often you can get in the room 30 mins early to start setting up your gear at no extra charge. Check with the Studio manager and take advantage of this if possible. Thirty minutes doesn’t seem like a lot of time, but proper prep can allow you to squeeze in an extra song or a few extra takes during the actual session. 2) Did you book enough time? The #2 question on everyone’s mind is how many songs can be done during a session. There is no golden rule for this and every band is different; the more prepared and tighter you are as a group, the more songs you can get in. Typically for a 4-5 piece rock band, you can get 2-3 songs completely recorded in a 6-8 hour session. However, this depends on how complex your arrangement is and how well you play. While booking your session, talk with the staff member and tell them what you would like to accomplish. Studio Managers are pretty good at asking specific questions and can give a pretty accurate estimate on time needed. This is a tricky thing to nail, so it be prepared for it to be an estimate (a pretty close estimate, but an estimate all the same!). Are your instruments up to par? Strings? Drumheads? Don’t forget that in addition to the prep mentioned above, your instruments should also be given a little TLC. Over time guitar strings get dull and risk breaking as the oils from your hands and ambient moisture corrode the surface of the metal. This causes them to not vibrate as freely and you lose good tone. It also can make them weak. It is a good idea to replace your strings the night before and play them a bit to break them in. Strings will stretch and you don’t want them going out of tune during a good take! Modern musicians have a lot of electronic gear that can be susceptible to buzz and hum from the power they receive. Although most studios have very clean power, if your amp or pedal makes noise before you bring it in there aren’t many things you can do in a session to eliminate it. A common culprit is harmonics and rattles from the tubes in a tube amp. If they are cheap or old they can start to make noise either mechanical or in your signal that’s getting amplified. Guarantee the professional studio microphones will pick this up. Drumheads may look like they are in great shape, but they need to be checked ahead of time. Drumheads lose their shape over time making it tougher and tougher to tune. They will start resonating in ways that you don’t want, requiring more dampening than normal. Unless you are going for a really dry sound, you should be able to get a clean sound from your drums with minimal dampening. New heads that are lightly broken in paired with products like “Moon Gels” and “Drum Dots” make drums sing in the studio. Both products work really well to tame unwanted overtones while allowing the drums natural tone to shine through. Don’t spend time chasing an unwanted noise when you could be recording. Take some time at a practice to have a critical listen to your gear and make sure it’s not acting up. Did you get a good night sleep? Have you eaten? There is nothing worse than running out of steam when you are half way through your session. You can take a nap or go and get food, but the clock keeps running. Getting good night's sleep is always a good idea. Your brain will be able to better function, which means fewer mistakes and do overs. Eating foods like an apple or granola bar that contain sustainable energy are much better than a bag of Cheetos or candy bar that will give you a short burst, but will have you crashing soon after. The same goes for your beverages. Avoiding sugar and bringing something that hydrates and quenches your thirst is key. If you plan to drink alcohol in a session use moderation; you may think you play better after a few drinks, but chances are good that you don’t. Book that session while you are still motivated! Now that you’ve done everything that you can do to prepare for you session, it’s time to put your hard work to use and enjoy your studio time. If you are interested in booking time in any of the three professional studios at Studio West, I’m always happy to help you get your project recorded.